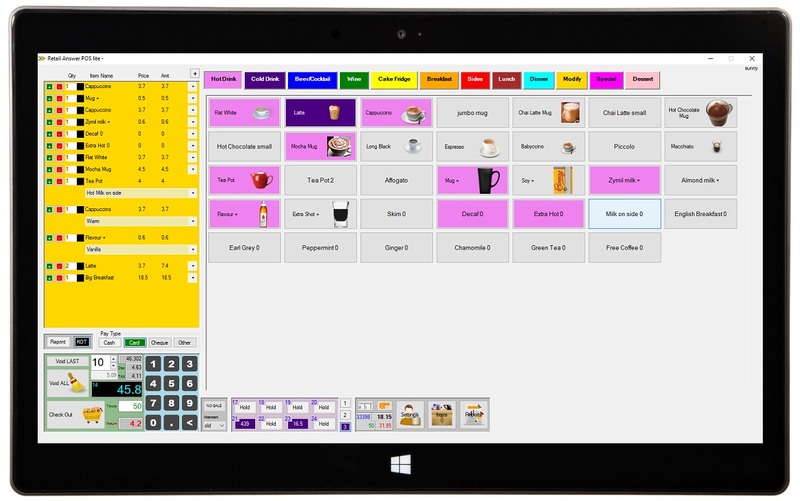 A retail billing inventory POS software which is ideal for small business operators who want a cheap and user friendly system which is easy and quick to install and operate. Multi-language Support allowing Input & Invoice Print in any Language. It can also be used on a touchscreen monitor with its smart intuitive design. It records all transactions for easy search and tax accounting. 2 tax types are supported. It also supports discounting. Its very easy to create menu buttons. Ideal cheap software for businesses. Sales can also be allocated to a salesperson for tracking sales performance and paying commission where applicable. You are welcome to try before you buy. Download the FREE version now. All the features are enabled so that you can be sure this is the right product for your business. Only restrictions are maximum of 50 items can be added, maximum of 500 transactions per month and Business name and address cannot be entered. This software has been developed with a lot of research and testing. We identified there was a gap in the market for a low priced software which had no ongoing charges and was simple to use, understand and operate. So we developed this point of sale which is easy to use. Another key feature of this software is single screen transaction processing. Generally to complete a transaction user needs to go through several screens before they can complete the transaction. This will help in fast service and better employee productivity. This software has minimum system requirements and runs on windows XP to Windows 10. It support cash drawer, 80mm printer and customer price display. Please visit out website www.retailanswer.com or like us on facebook.com/retailanswer to stay updated about this product.